This 3 bedroom, 2 bath home would be a perfect match for a young family with children or anyone wishing to downsize. 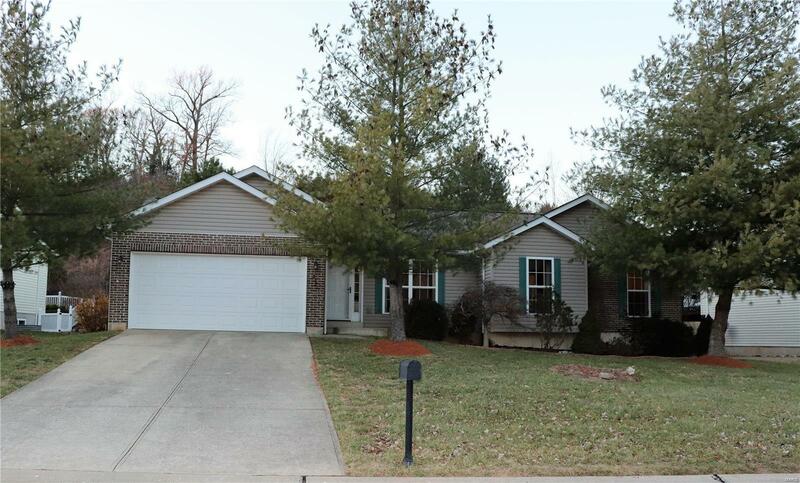 It is a well maintained open floor plan ranch located in Sugar Creek Golf Course, within walking distance to the driving range making it a golfers dream. You can enjoy the covered back deck with moderate privacy for a relaxing morning drinking coffee and viewing the wildlife. The great room has a warm cozy fireplace and the lower level is partially finished. The yard is fenced.